Flagler Fence has been installing fence since 1989, in New York, Colorado, The Caribbean, South America and most recently in Northeast Florida. We offer a full line of products for every fence need and every budget. We were the first to bring vinyl fencing to the Palm Coast area, and now offer over 150 styles in 5 color variations including white, tan, pebblestone, khaki and gray. We also offer simulated wood and stone in vinyl. All of our fence products carry Lifetime Warranties. 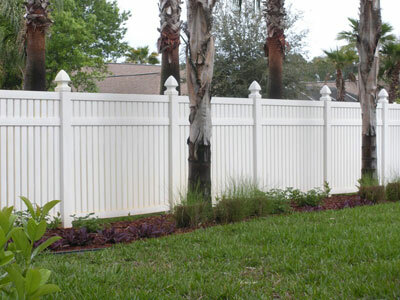 At Flagler Fence, we treat each customer and job with the utmost importance. From a baseball stadiums to a neighbor's backyard fence, customer satisfaction is our primary goal.